There have been a few questions lately from members a little unsure of how to use all of the website and in particular access the members only section. Although many parts of our website are open for the general public to view, the members section and forums are private and either password protected or require you to be registered and logged in to participate. After registration your account will have to be approved (we need to verify that you’re a club member), so there may be a short delay before you can use the site. You will receive a confirmation email once your registration has been approved. When you sign up to the website you select a Username and Password which allow you to be a member of the site, subscribe to calendars and use the forum etc. A separate password is also required to access the members only pages. This password is changed every year so that only current members have access to the data, results and private information about the club. If you are unsure of this password then please contact the club secretary to request it. You can log in to the website by either entering your Username and Password in the boxes provided at the bottom of each page, or by clicking the ‘Login‘ option under the Members menu link. There is a tick box option to ‘Remember Me’ which will remember your login details each time you come back to the website, or until you reset / clear your browser cookies. You and only you should have access to your website login password. 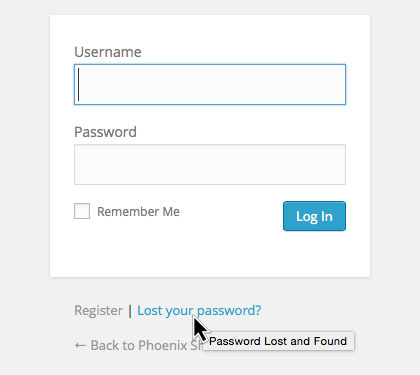 If you have forgotten it, then you can reset it via email by clicking the ‘Lost your password?’ link. If you are not logged in and you try to access a protected page, you may be presented with a 404 (Not Found) page. Please remember, to access the members only areas of this website you must first log in using your personal Username and password, or register if you have not yet done so and then enter the ‘members password’ when prompted to do so. Again, if you do not know what this password is, please contact the club secretary to request access.